SilverWood Books - What Are You Signing Up To? Home » The Learning Zone » What Are You Signing Up To? However you plan to produce your book, the chances are that you’ll work with other professionals at some stage in order to achieve your goals. Some writers are multi-talented and manage to juggle all those roles successfully. Others recognize that their talent lies in writing, and choose to work with someone else - often a publishing services company - to bridge the gaps. But how do you make that choice? There are so many pitfalls, and the internet is loaded with stories about disappointed authors who’ve had their fingers burned. Your relationship with your publisher is so important - a bit like a marriage, and you want it to work out longterm if you have more than one book to publish. Read the company's website carefully and try to establish what sort of organisation they are (look beyond the words you’re reading and pick up other clues). Is the website professionally presented? Is the text proofread and correct (you’re judging them on how well they’ll handle your text). Is the bookshop prominent (meaning they’re actively selling their authors' books). What’s the quality of their book cover design? Are they offering you plenty of information? Is there a good FAQ page? Do they come across as friendly and reasonable? What's the team like that you'll be dealing with? Will you have a named contact who always deals with your project? Do they offer a range of other services such a proofreading and book promotion? What are they saying about book sales (be wary of hyperbolic promises of huge sales, fame or riches). Will the company put you in touch with authors who’ve used them in the past? What’s in their packages and is it useful to you and targeted to your readership? Be wary about paying for advertising (it doesn’t always recoup what you pay in book sales, but can work for very niche books). If you do choose to advertise, where will the ad run? Will your target readership see the ad? 3. What about retail pricing? Can you set your own retail price? Will you be offered advice on how to set your retail price and what factors you need to consider? What sort of trade discounts should you be aware of? At what stage can you make changes? Will there be a charge for revisions, or for sending you new proofs? It’s reasonable for there to be a limit on changes, but you need to know exactly where you stand and what the costs might be. 5. How does remuneration work? Does the company operate a royalty structure? If they’re handling some of your sales, what is their commission (or do they take part of the trade discount)? 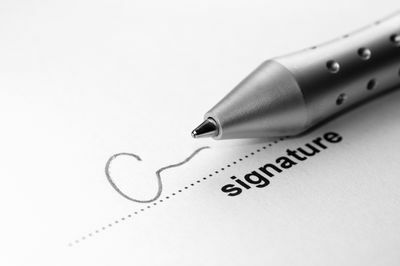 Is the contract non-exclusive (ie you can take a traditional publishing contract if it’s offered)? Is there a termination clause? Are you locked in for a period of time, or can you leave whenever you wish to? Will you retain the rights to all your intellectual property? Drop us a line and let us know how we can help you.